A meaningful relationship with the outdoors, superb craftsmanship and thoughtful consideration of a home’s impact on the environment – these are the cornerstones of Hayashi’s design. 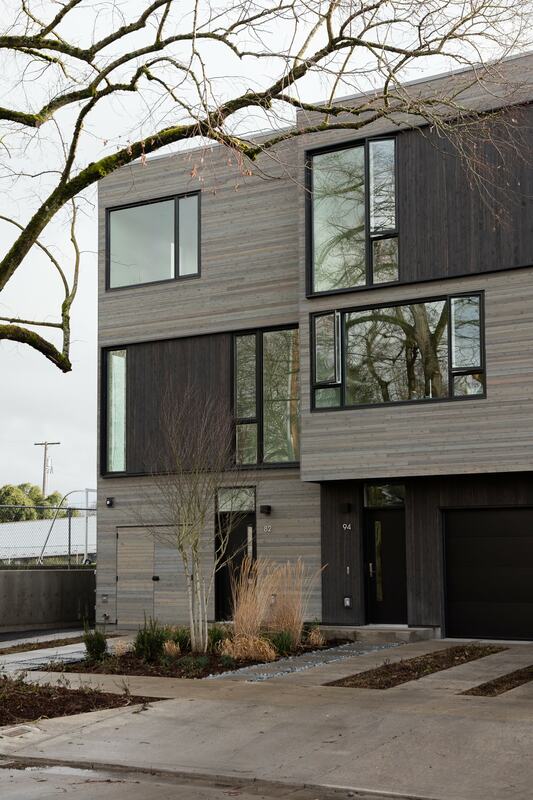 Eight modern townhomes in the Humboldt neighborhood of Portland, Hayashi seeks to surpass the status quo of for-sale housing. Hayashi’s unique approach melds form and function into striking, light-filled open spaces with strong connections to private gardens and views. Hayashi has three distinct floorplans, ranging from 1,871 to 1,948 SF, with some including an Accessory Dwelling Unit (ADU) for added rental value.